When you navigate to Urthgame.com using a web browser you are taken to the home page of the web site. Two tools which enable you to move around the home page are the maximize button and the vertical scroll bar shown in Figure 1. Clicking the maximize button with the left mouse button enables you to switch between full and reduced size browser windows. Placing the cursor on the scroll bar while holding the left mouse button down allows you to drag the bar up and down by moving the mouse. The web page moves up and down with the scroll bar motion. Figure 1 - Urthgame home page. 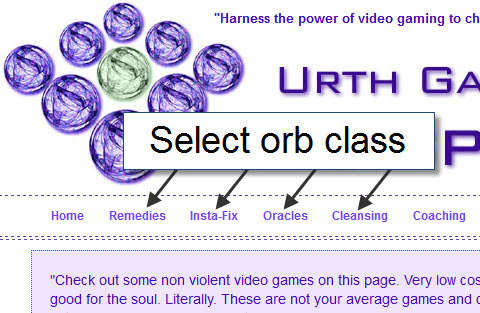 There are currently four classes or groups of orbs available on the Urthgame web site. Table 1 briefly lists some of the distinguishing features between each class. A particular orb is chosen from one of these classes. Remedies Long seven-level Labyrinth runs HUD (heads up display) attributes vary with the run. Table 1 - Orb classes. Select the orb from the class. 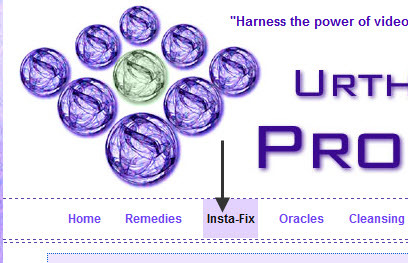 1) The orb classes are listed in a horizontal row immediately below the Prosperity Path banner shown at the top of the web page (Figure 2). Figure 2 - Orb classes. 2) Place the cursor on the name of the chosen orb class. The name becomes highlighted similar to the example shown in Figure 3. Figure 3 - Highlighting an orb class. 3) Click the highlighted name once with the left mouse button to select, for example, the Insta-fix orb class (Figure 4). Figure 4 - Selecting an orb class. After you select an orb class you are taken to a new page where you will find the pictures and names of the individual orbs belonging to that class. Depending on the layout of the information on this page, you may have to use the browser's vertical scroll bar to see the pictures. Figure 5 shows an example of the Insta-fix orbs which are brought into view using the vertical scroll bar. 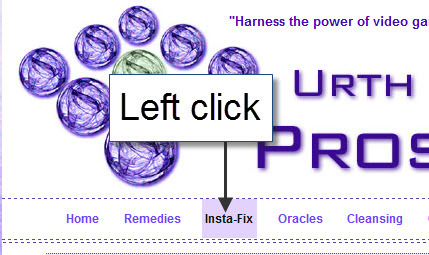 Figure 5 - Insta-fix class orbs. 2) To select a particular orb place the cursor on its name or picture and click with the left mouse button. 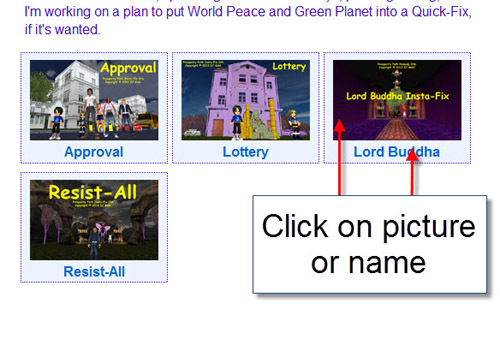 Figure 6 shows the Lord Buddha Insta-fix selected by clicking on its name or picture. Figure 6 - Select orb. After you select the orb a new web page opens up with a link to a download page.